Catalyzing community to advance and accelerate economic opportunities for Colorado women and their families. 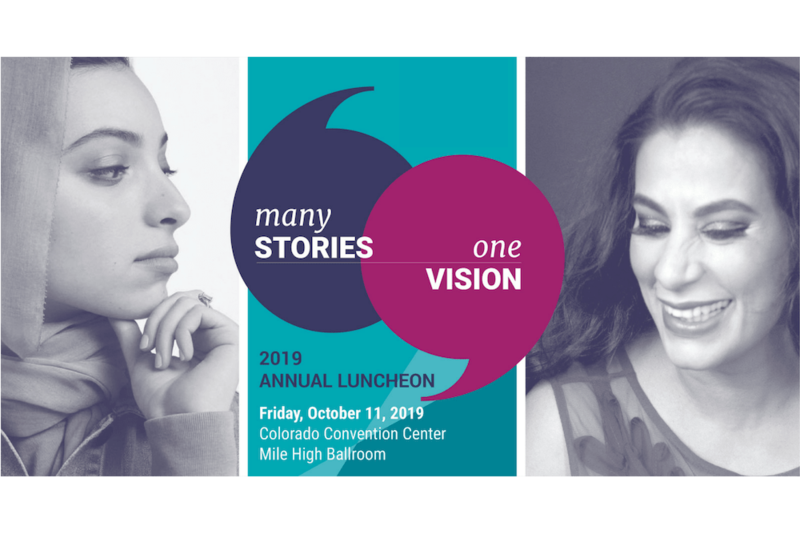 In a new TED Talk-style format and joint interview, WFCO’s 2019 Annual Luncheon on October 11 will spotlight two dynamic women whose poignant storytelling captivates, motivates, and connects diverse communities. Just a few years ago, Francesca, a single mom solely supporting her mother and daughter, could not make ends meet. She knew she needed help to break the cycle of poverty and create a better future for herself and her daughter. In January 2018, WFCO awarded grants to 23 nonprofit organizations statewide working to advance and accelerate economic security for women. We advocated for an increased minimum wage and worked with our public policy partners to pass six more bills in 2018 that create more pathways to prosperity for Colorado women. Since 2016, 32 women's funds that comprise Prosperity Together have collectively invested $58.4 million into programs advancing women's economic security in the U.S.
Kathleen and Mike Beatty know the power of philanthropy to advance change for women and their families. “When you help women, you’re helping generation after generation develop and grow. It’s not just a short-term gain: it’s a long-term purpose," said Mike. That's why they started a donor-advised fund at The Women's Foundation of Colorado. In addition to investing in women and girls, they are passionate about education, finding a cure for cystic fibrosis, and creating a philanthropic legacy with their family. “We want our giving to be more strategic, and this gives us a great opportunity to do that. And we want our daughters to become heavily involved in philanthropy," explained Kathleen. It's been one year since we launched a new blog to share the diverse stories of women who make up our community. The post It’s Our One-Year Blog-iversary appeared first on The Women's Foundation of Colorado Blog. The Women's Foundation of Colorado is proud to announce we've added six women to our board of trustees with their terms beginning April 1, 2019. The post WFCO Adds Six to Board of Diverse Women & Men appeared first on The Women's Foundation of Colorado Blog. Please contact your state senator and representative today to let them know it's time for our state government to create a paid leave program. The post Action Alert: Contact Your Senator and Representative About FAMLI appeared first on The Women's Foundation of Colorado Blog.